Join us for the 10th Annual National Tourism Week Event. 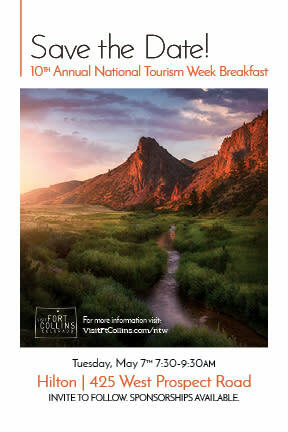 This year’s celebration of all things tourism in the Fort Collins region kicks off on Tuesday, May 7th at 7:30 am at the Hilton Fort Collins. For sponsorship, ticket and other details, please contact Autumn Schempp at: autumn@ftcollins.com. Check back often for updates. Where: The Hilton Fort Collins: 425 W Prospect Rd. Groups, Meetings, and Events are booked through relationship marketing, hosting meeting planners and obtaining strategic representation at industry shows. 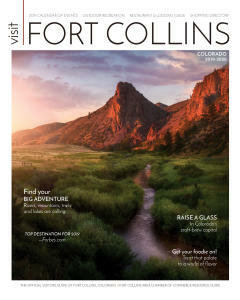 Visit Fort Collins strives to engage partners through a variety of ways throughout the year.